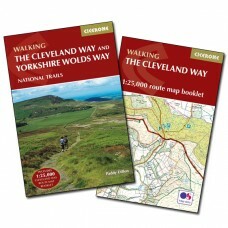 Walking the Cleveland Way and the Yorkshire Wolds Way Crossing the heather moorland of the North York Moors national park, and taking in coastal walking and quiet gentle countryside, these three ro..
Cleveland Way Official National Trail Guide The Cleveland Way winds for over a hundred miles around the North York Moors National Park, from the ancient moorland town of Helmsley to finish on the ..
Cleveland Way The Cleveland Way runs for 108 miles (174 km) around the North York Moors National Park, starting inland at Helmsley. 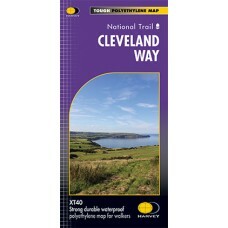 After reaching the coast at Saltburn, it heads south-east along d..
Cleveland Way North York Moors - Helmsley to Filey The Cleveland Way is a National Trail set in the beautiful wild countryside of the North York Moors National Park. 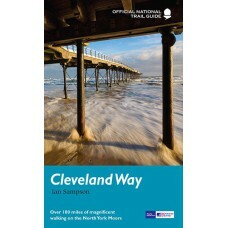 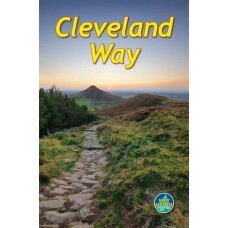 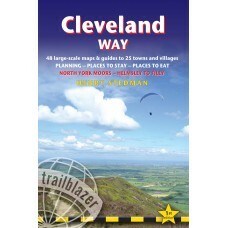 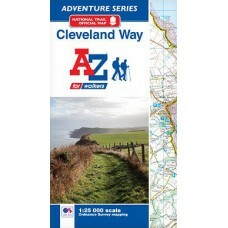 It runs 128km (107 miles) fr..
Cleveland Way Official National Trail Map A-Z Adventure Atlas | 1:25,000 Scale Mapping The A-Z Adventure Series of maps combines the best of OS and A-Z, creating the perfect companion for walkers..